Most sales people know enough to ask questions. And every sales person has heard a thousand times to listen more than they speak. However, most sales people interrogate rather than interview. The difference is; interrogating is about the sales person, and interviewing is about the prospect or C-level executive. Interviewing questions open up C-levels and other prospects to reveal the triggers that will cause them to buy from that interviewer. Most prospects don’t try to keep secret their information. They usually never have an opportunity to expose it because the sales person takes over with interrogative questions. So to interview C-level executives and other prospects and get them on your side, try the following. 1. Frame your opening questions around the individual and end it with “as it relates to…(your business)”. My favorite (after the greetings and cordialities) is, “So tell me, what are your issues or concerns as it relates to generating more sales?” My business is sales and I’d like to know how he sees his selling situation. 2. Don’t worry that the person doesn’t know what you can do for him. Once he knows you know his issues, he’ll be open to listen. 3. Watch and listen to a good interviewer on TV, YouTube or Radio. Notice how they ask questions and listen to the person. Then, they dig deeper, asking the person to explain further the meaning of the answers. Notice how they don’t interrupt, yet keep the person on track. Notice also how they are not trying to push their own agenda. 4. It’s important to role play with an associate, supervisor or coach. Be open-minded. You are probably not asking in the manor you think you’re asking. Record you’re session and listen to yourself. You will be amazed. 5. Notice how sales people work with you. Do they probe to see what you want, why you want it, and what the perfect solution for you would be? Or do they show you what they have and tell you how you’ll love it. 6. Develop a set of standard question you can ask any executive centered around the executive’s world; about the executive herself, her responsibilities, her issues and her future. Your question must illicit what you’d like to know about her visions (as it relates to your solutions), her paths to these visions, the details of the perfect solution, etc. Again, don’t worry she doesn’t know what you have to offer. She knows what she has and where she wants to go. You’ll have to do the fitting. 8. Prepare yourself to listen. Practice closing your mouth and listening to others with an ear to understand. Stop and think before talking to determine if you’re interrupting. If so, don’t stop her, because once you do, it becomes all about you. Remember once C-level executives and prospects feel it’s about you, they want to run. Once they feel you understand their situations, they become very open to listening to you. Listening is the key to establishing relationships and selling. If you learn what your prospects want, and/or forgot to mention, and/or don’t know about, and what they mean by the words they used to describe what they want, you’ll have a complete description of what it will take to win these people over. It works for both business and personal relationships. Listening is also the best way to make people enjoy their encounter with you. Executives and others love to listen to themselves talk and you want them to love their experiences with you. There is no better way to endear them than getting them talking and you actively listening. Useless Listening which unfortunately is the most common form or listening. That’s when the person starts talking and you can’t wait until she stops so that you can start telling her about you. Or, she says something that reminds you of something that happened to you, or your kids, etc. and you jump right in telling her all about you. Or, she says something you don’t agree with, and again, you jump in and give your opinion which she should immediately subscribe to. Sadly useless listening doesn’t let one learn much and doesn’t create an enjoyable social or professional interaction. Then there is Focused Listening. This is when someone is prepared for and listens for things he feels should be important to the person being interviewed. If the speaker talks about them, that’s good, and they will be addressed in due course. If he doesn’t, then the speaker forgot to mention them, or doesn’t care about them, or doesn’t know about them. As an interviewer, it’s good to know why they didn’t mention each of these benefits. If the speaker forgot, we need to remind him and then incorporate those forgotten items into the ‘wants specification’. If the speaker doesn’t care about certain ones, then we need to eliminate those from our agenda. And, if the person doesn’t know about certain ones, we will have to be sure to explain what each is, its benefits and test for interest. The process of focused listening is very simple. You prepare a list of all the benefits your products, services or you offer. Then when the person starts answering your question about what he wants, you listen for those benefits you’ve prepared. If he doesn’t mention one or many of them, you simply say, “You didn’t say anything about so and so. Is that important to you?” His answer will then be that he forgot, he doesn’t care about it or he doesn’t know about it. You’ll now know his feeling for so and so. Then repeat the process for another of your not-mentioned benefits. From focused listening you’ll learn quickly what to promote, what to stay away from, and what to explain further. It’s very efficient, smooth and sounds very consultative. Focused listening also removes the biggest fear and biggest mistake of sales people. That is, assuming the other person doesn’t know what s/he has to offer. This causes the sales person to explain and promote before s/he knows what’s important to the buyer. If the buyer’s not interested in that benefit, it’s the quickest way to lose credibility and end the conversation. Finally we have Investigative Listening, or listening to crystally understand. When people respond to one of your questions, they will use words that have multiple meanings, hidden meanings, loaded meanings, ambiguous meanings, and powerful meanings. Without further investigation you don’t really know what this individual means by that word. Examples would be reliable, low cost, effective, and a zillion others. So the process to handle words that people throw out, again, is simple. First, never assume to know what the speaker means. She has to explain it to you. Second, you say, “You mentioned that you wanted it reliable. Please explain what you mean by reliable.” Or “You’d like it to be low cost. How low is low cost?” Or, “You want it to be effective. What does effective look like to you?” Third, you have to stop talking. Give her a few seconds to consider what she means. Then let her talk without you interrupting. Keep nodding you head and take notes. 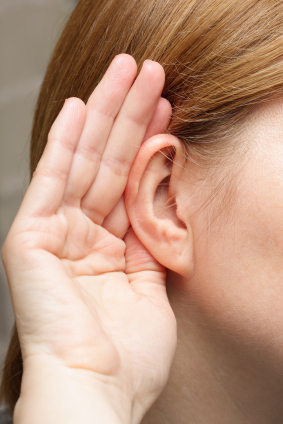 Investigative listening is the most revealing and powerful learning process. It clears all ambiguities and details exactly what’s going on in the other person’s head. This is powerful information. It also helps the person fully articulate her desires. This will justify her thinking and make her feel satisfied. Now, all you have to do to get this listening / learning process going is present an opening question about what the person wants and then shut – your – mouth. As they openly address the question you’ve posed, take notes and don’t interrupt. If they don’t mention interests or issues you feel they should, offer-up those topics in a consultative manner – don’t sell. Make sure you clear-up and define ambiguous and power words. The conscious and subconscious effect of focused listening and investigative listening on the buyer improves tremendously your credibility and sincerity which are important relationship elements. Finally confirm what was said. There is nothing more endearing to a person then someone reiterating what they just told them. It means to her that you were listening and that you understand her. Most importantly, that speaker now knows that you know and now she will be ready to listen to you. Now it’s time to present. Talking and promoting is marketing. Selling is listening and explaining how desires that are verbalized can be attained. Somehow talking became the symbol of a good sales people. People usually say that a talker is a born sales person? This is such a myth. After the hello’s poor sales people usually start telling why they’re there and describing what they’re selling. As soon as the executive or other person starts asking questions, they jump in and defensively address the concern. The executive or other person is never given a chance to purge his mind of what is critical to him that you should understand. That is, what does this person want and does he wants to invest to get it? Without this information, you don’t have a clue, and he knows it. Your presentation becomes what you think he should want and do, not necessarily what he wants to hear. Nothing kills credibility and a relationship faster that a bore. Score: 4=Always; 3=Most Times; 2=Usually; 1=Sometimes; 0=Never. Scoring: 1 + 3 – 2 – 4 ) =?? For more updates stay tune!